Lil Wayne has announced that American football linebacker Reggie Northrup is the first athlete to sign to his Young Money Sports business venture, who will now handle his marketing and branding. The news was confirmed when Weezy posted up a picture (above) on his Instagram page, as well as whenReggie explained in an interview with Tallahassee Democrat newspaper about how his relationship withTunechi started and why Tune wanted to work with him. 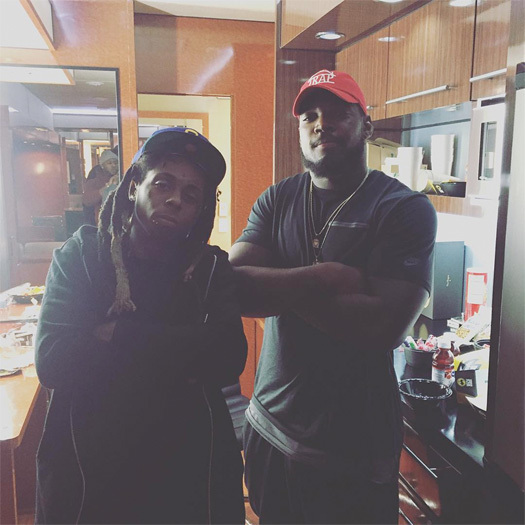 Be the first to comment on "Lil Wayne Signs Reggie Northrup To His Young Money Sports Agency"